This topic contains 1 reply, has 2 voices, and was last updated by John R 3 years, 1 month ago. 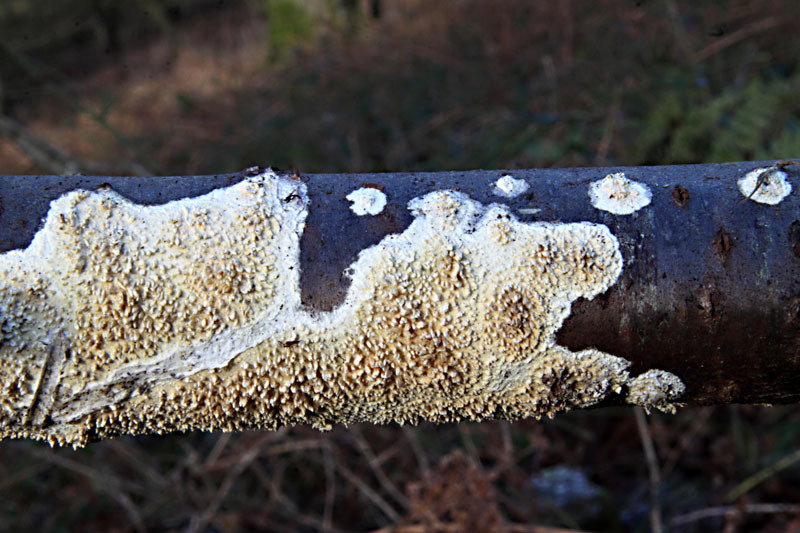 Found on dead fallen and attached branches of Cherry (Prunus avium] Normans Riding Wood 14/02/2016.This fits well with descriptions in Buczacki and Jordan where it is called Hyphoderma radula. Pictures show the initial small circular patches then they coallesce into a more effuse mode of growth. The close up photo shows the developement of spines which more or less retain their circular grouping. 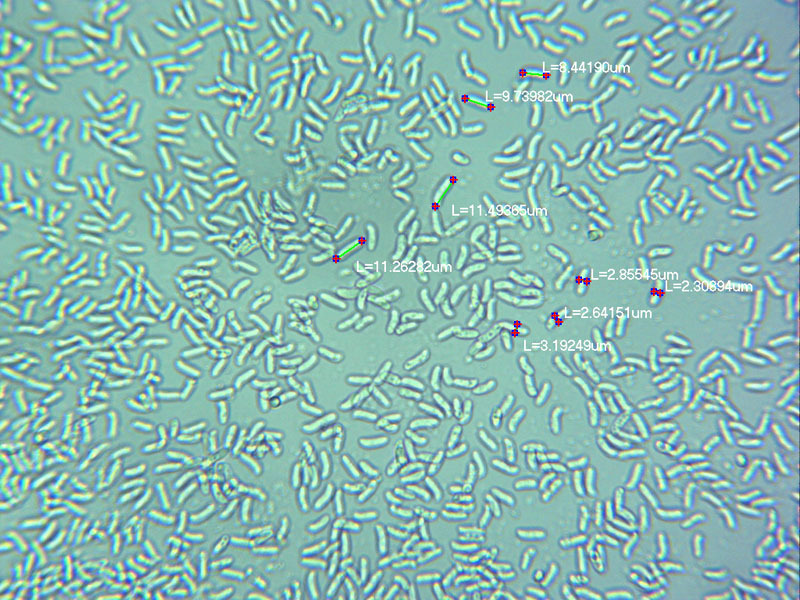 The spores are cylindrical-allantoid (sausage shaped) mounted in water colourless non amyloid and 2.5-3 x 8.5-11.5. 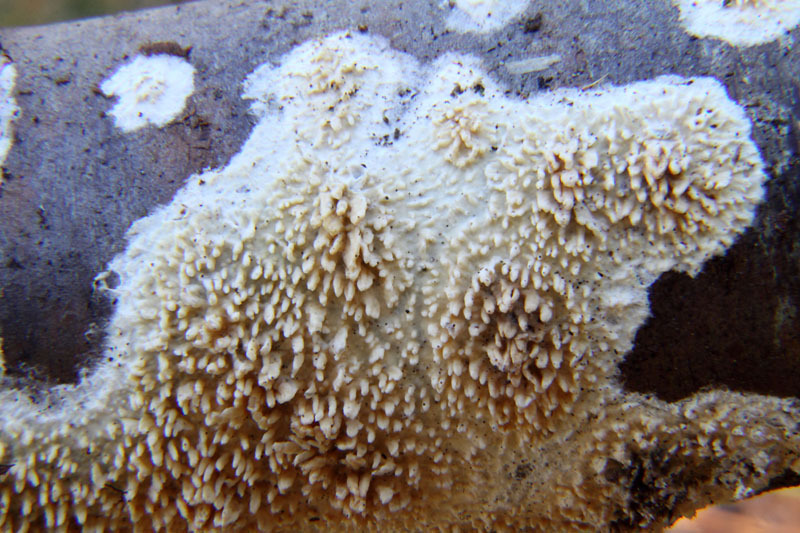 Also listed as Basidioradulum radula (Toothed Crust) in Buczacki. It looks good to me.